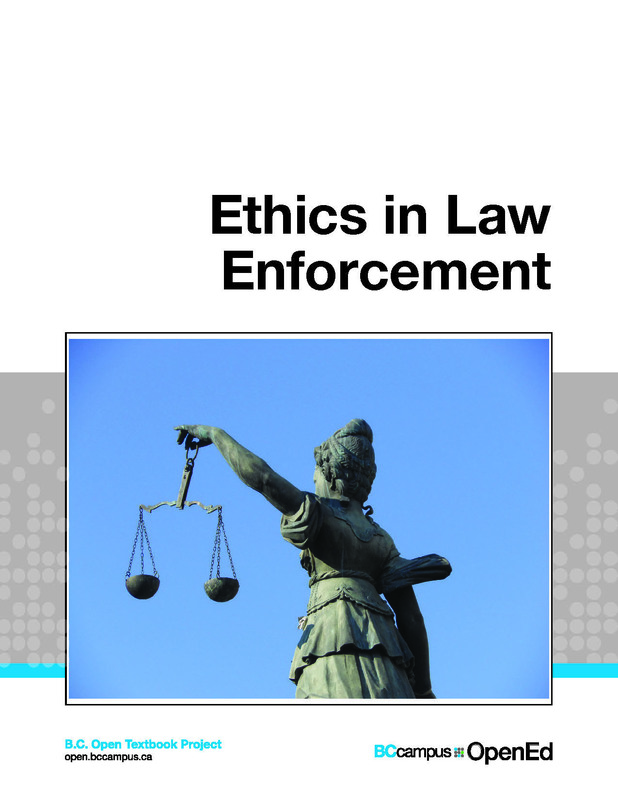 Book Description: In this book, you will examine the moral and ethical issues that exist within law enforcement. This book will also familiarize you with the basic history, principles, and theories of ethics. In this book, you will examine the moral and ethical issues that exist within law enforcement. This book will also familiarize you with the basic history, principles, and theories of ethics. These concepts will then be applied to the major components of the criminal justice system: policing, the courts, and corrections. Discussion will focus on personal values, individual responsibility, decision making, discretion, and the structure of accountability. Specific topics covered will include core values, codes of conduct, ethical dilemmas, organizational consequences, liability, and the importance of critical thinking. By the end of this book, you will be able to distinguish and critically debate contemporary ethical issues in law enforcement. Ethicsin Law Enforcement-McCartney by Steve McCartney and Rick Parent is licensed under a Creative Commons Attribution 4.0 International License, except where otherwise noted. Ethics in Law Enforcement by Steve McCartney used under a CC-BY 4.0 international license. Image Cover: Scales of Justice-Frankfurt Version by Michael Coghlan used under CC BY SA 2.0.